Earlier this summer I volunteered as a marketing expert at Futurpreneur’s Expert Exchange event. While I was expecting to meet passionate entrepreneurs, I was pleased to see that many of the budding companies were also founded with a strong social purpose in mind. From Gryllies, committed to bringing healthy, tasty and environmentally friendly protein options to market, to Element 20, helping companies achieve the highest standard in workplace safety, to Lee’s Provisions. 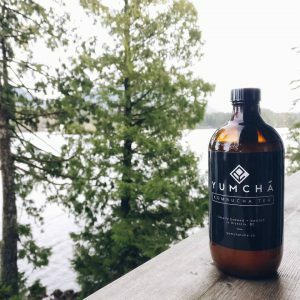 While Lee Dares makes premium, organic ghee, she was motivated to do so after studying the ancient tradition of Ayurveda, and learning of the significant health benefits associated with Ghee. I immediately felt a connection to these entrepreneurs and others I met that were on a journey similar to ours, one of profit intertwined with purpose. And so I got to thinking – these companies should also consider becoming a Certified B Corporation®. B Corporations are leaders of the global movement of people using business as a Force for Good. At Ramp, we became a B Corp last year and love being part of this group of like minded organizations redefining what success in business means. I remember the day I first learned about the B Corp movement – more than two years before we would achieve our certification. I was excited because, with thousands of members worldwide and growing, I had found a tribe of business owners with shared values. And, as importantly, I’d found a way to measure Ramp’s performance against validated standards of social and environmental performance, transparency, and accountability. I knew I wanted to organize every aspect of Ramp around the triple bottom line approach but lacked the playbook to help me get there. I had finally found one. As a young business, we couldn’t get there overnight, but our B Corp certification became a goal to aspire to. The network is wonderful, and it’s growing fast. I attend regular breakfasts and constantly meet new people who are sharing their inspiring stories of positive impact. 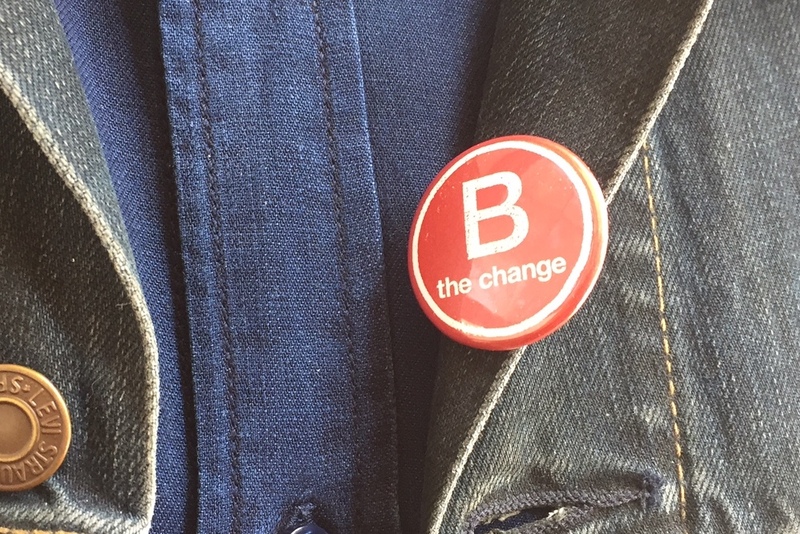 There is a true synergy between B Corporation members. 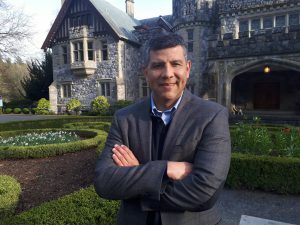 From doing business with one another, to referrals, to working together to grow our tribe in Canada – there have been so many opportunities to connect. The certification process is tough… and that’s the best part. To become a B Corp is to truly consider your company’s impact on all its stakeholders including workers, suppliers, your community, customers and the environment. 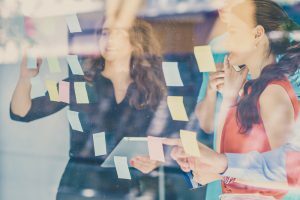 The assessment tool and support resources provide valuable guidance to help you adopt best-in-class management and governance practices. It ensures that your organization has a foundation that’s built on core values. When you have well-established core values that your team lives and breathes every day, you attract the right customers, and just as importantly, the right employees, so that everyone is aligned and moving in the right direction. Don’t wait until you are ready to officially become certified to check out their Even if you are an early stage start-up, looking at what it takes to become a B Corp is a good litmus test when considering what you stand for as a company. The assessment tool is free and knowledge of the standards as you build your business plan will set you up for an easier certification process down the road. One of our core values is growth. We are constantly looking to up our game. We can see our current score broken down by the subcategories of Environment, Workers, Customers, Community and Governance. Even though we have exceeded the minimum number of points to achieve certification, we can see ways to improve across various categories. For example, this year our Office Administrator, Lisa, initiated an in-office composting initiative which will help to boost our positive impact on the Environment. Being a certified B Corporation is a source of pride for our team members and fosters a sense of belonging in a community of like-minded people. I’ve really seen this as something our team is truly excited to be a part of. At Ramp, we attract top-notch employees and receive inquiries on a weekly basis from people wanting to become part of our team. I’m looking forward to meeting new friends and connecting with more businesses at the annual B Corp Champions Retreat in October. Attracting B Corps from around the world, this year’s retreat will be held in Toronto (the first time outside of the U.S). This is a great honour for our country and our city and there will be many opportunities for local entrepreneurs to get involved, even if you haven’t yet joined the community. Being a B Corporation has been a positive experience for Ramp Communications, and I recommend exploring certification as an option if your organization is dedicated to using business as a Force For Good. Shelley Mayer is the founder Ramp Communications, a full-service marketing and advertising agency that specializes in the social profit sector. Ramp works with charities, non-profits, social enterprise, the public sector and organizations that measure success not only through profit but also by social impact. They provide strategic and creative services to help shape their clients’ brands and campaigns and also manage campaigns from concept through to execution and implementation.